This week’s photo was taken between 1910 and 1915 by Bain News Service and retrieved from the Library of Congress photo collection. I am sharing it because on April 23, the Central Park Model Yacht Club is celebrating its 100th anniversary. In its pre-park state, the site of the model boat pond was a ravine through which Saw Kill flowed on its way east. 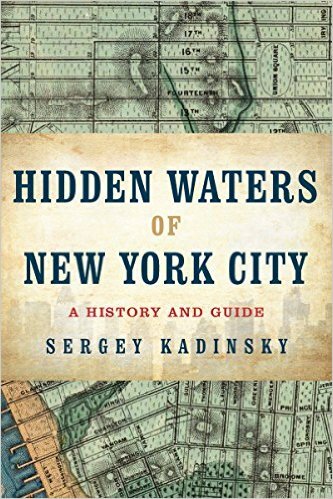 With the development of Manhattan, its headwaters on the Upper West Side were buried as was its course on the Upper East Side. The dried up stream bed within Central Park was dammed and filled with water from the city’s aqueduct as The Lake. To its east, the ravine was assigned an ornamental pool that would face a “large conservatory,” a glass building with tropical plants inside. Below, from the NYPL Digital Collections is an 1862 rendering of the never-built Conservatory by John William Orr. To this day, while the other four boroughs each have their botanical gardens, Manhattan does not. This pool was intended to be filled with lilies floating on the surface. It was completed without a surrounding garden in 1873 and soon after attracted a following of model boat enthusiasts and when the weather permits, ice skaters. While some maps labeled this pool as “Ornamental Water,” its other name Conservatory Water found more acceptance by the public. The Conservatory Garden eventually was completed in 1934 at a location further uptown at Fifth Avenue and East 105th Street. Around that time, the Conservatory Water was redesigned with a granite shoreline loosely based on the reflecting pool of Jardin du Luxembourg in Paris. A humble wooden boathouse stood on the pond’s eastern shore, a predecessor to a larger one that will be built in 1954. At the eastern side of The Lake, Loeb Boathouse stands atop an earthen dam that holds back its water but the ravine where Saw Kill flowed is evident by Trefoil Arch, which spans the former course. A few feet from the arch is a manhole. Instead of foul odors, when looking into it, the air is cool and clean indicating a buried stream flowing from The Lake into Conservatory Water. Looking north from Pilgrim Hill, the valley between Trefoil Arch and Conservatory Water also indicates the former course of Saw Kill. On the eastern side Conservatory Water where the indoor tropical garden was planned is the Kerbs Boathouse, completed on June 2, 1954 with funding from park supporter Joanne E. Kerbs. It replaced an older and much smaller wooden boathouse. This is where the Central Park Model Yacht Club meets every Saturday at 10 in the morning. Inside the boathouse, members work on their boats in view of portraits from its proud history. On April 23 from 10 a.m. to 3 p.m., the club will be holding its centennial celebration. For children, Conservatory Water is best associated with the novel and film Stuart Little. The child-friendly setting of this pond extends to its western side, which has two popular sculpture, the 1959 work Alice in Wonderland by José de Creeft, and the 1955 sculpture of a sitting Hans Christian Andersen by Georg John Lober. Although it is an island and it has plenty of wealthy residents, Manhattan does not have too many actual yacht clubs. Manhattan Yacht Club has been in operation since 1987 with an address in the Financial District, a dock in Jersey City and a floating clubhouse. Further inland in Midtown is the New York Yacht Club, on a property donated by its Commodore John Pierrepont Morgan. Its dock is further away in Newport, Rhode Island. As with all yacht clubs, the one in Central Park has a Commodore, a burgee, clubhouse, and common passion for the sport of sailboat racing. It is the only “yacht” club in New York City located on an inland waterway. If you’re not a club member, you may rent your own model sailboat with Sail The Park. DNAinfo reports that the EPA has selected the location for two underground sewage tanks that will keep raw sewage from flowing into the Gowanus Canal. DNAinfo also reports that “Lake Ness Monster,” a machine that keeps Prospect Park’s lake clean and scum-free was selected as a winner of this year’s participatory budgeting process in City Council District 39. TimesLedger reports that the Udalls Cove Preservation Committee will be holding a volunteer cleanup event at Udalls Cove in Queens in advance of Earth Day. Nashville Public Radio provides a very detailed report on the storm sewers and underground streams hidden beneath this southern city. BBC reports that England’s canal boat dwellers must keep their boats moving or face eviction. The Guardian reports on the tourism potential of boat tours on London’s canals. Coventry Observer reports on the same potential for that city’s canals.